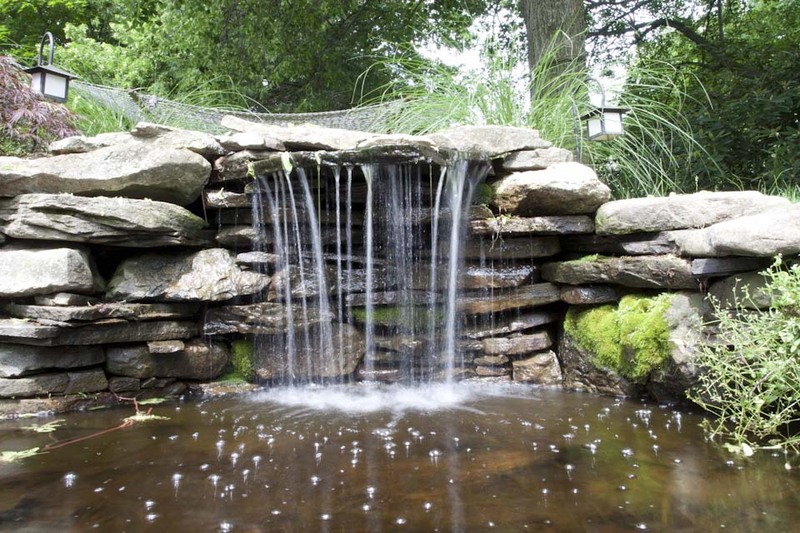 An outdoor water feature in the NJ tri-state area can help drown out the sounds of neighbors and traffic, while also providing a peaceful backdrop for your outdoor activities. Koi ponds can literally add life to your yard, and many people claim that it helps them relax and relieve stress. If you have a pool, a water feature is a great way to create a beautiful focal point. Whether it’s a graceful spill from a raised spa or a series of deck jets that stream into the pool, the movement adds life to your swimming pool. A fountainscape can serve as a piece of art, a peaceful background noise, and even a birdbath. Thomas Flint Landscape is a design build company that creates beautiful and unique water features for New Jersey tri-state area clients. Thomas Flint designs and installs water features tailored to your property, lifestyle, and budget. You can view some of our work on outdoor water features in NJ, NY, and CT in our portfolio. Thomas Flint Landscape Design & Development is a Ramsey, New Jersey landscape company that specializes in custom water features, pools, stone and paver patios, and landscape design for people in the New Jersey tri-state area, including New York and Connecticut.